Canadian based WordPress experts keep your site maintained, backed up, secure & online! No more worries! Servers & WordPress sites are monitored & protected 24/7 from hackers & security threats. Our clients are protected by our Hack Insurance. As WordPress Experts, we are here to support you in any way that we can. We’re on your team! We keep your WordPress site secure & updated with our hands-on WordPress core updates, plugin updates, proactive security & optimization improvements. Let our Canadian based WordPress experts take care of your site, so you can concentrate on running your business! The WPCloud team consists of WordPress Developers, SysAdmins & Security Experts. This combination allows us to offer you amazing support that is 100% WordPress focused! Speed is important, your website visitors expect it, Google rewards you for it & we keep improving it! NVMe LiteSpeed servers are set up to provide our industry-leading server-side caching to all of our clients. Our clusters are true cloud WordPress servers, located in Montreal, Toronto & Vancouver. We offer auto-scaling resources based on your site traffic. With our 99.9% uptime guarantee, you can concentrate on your business, not your server uptime. We only host WordPress sites & our infrastructure is specifically configured to provide your site visitors with an amazingly fast WordPress experience! So go ahead, get popular! As part of our WordPress support, we can pass along our years of experience. If you have questions on how or what to use, we are happy to help. We offer an email based help desk & knowledge base. 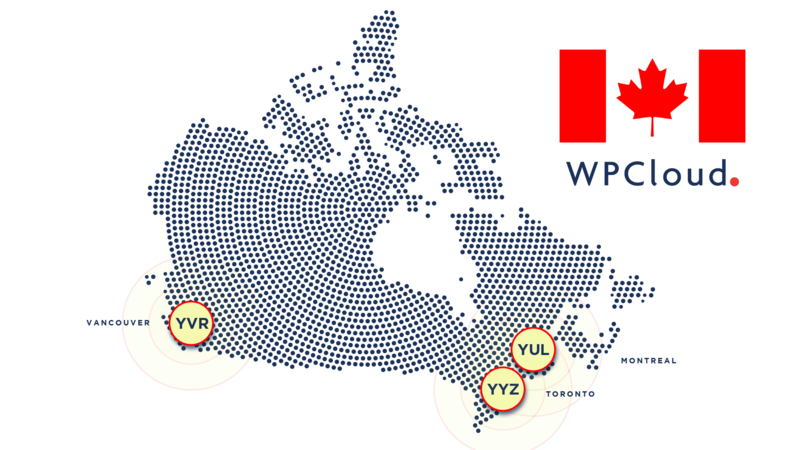 The WPCloud network continues to expand across Canada! Currently, we have WordPress cloud servers in Montreal, Toronto & Vancouver, with more locations launching soon! Yes, we offer full-featured Email accounts with all WPCloud plans, hosted on Canadian based enterprise email servers. Email servers are isolated from our WordPress hosting servers to provide you with additional redundancy & security. Our WordPress staging site system allows you to easily create a test staging site. No more worries about making changes to your live site! We also offer an isolated sandbox/playground environment for all your development needs. Real accessible automatic backups, run daily, stored off-site. You also have access to our real-time snapshot system. You own your data, we just take care of it for you! All of your data is available in a format that can be easily migrated to another web host, you are never locked in by any proprietary file system. We do everything in our power to prevent your site from getting hacked. This includes real-time scanning, monitoring & security updates. But, if your site gets hacked, then our security team will fix it, right away, at no extra cost. You are truly protected! Managed DNS – IP Anycast, geographically distributed DNS networks, powered by Constellix. Engineered for industry-leading speed & reliability. Upon request, our GeoDNS system allows you to block specific Countries to reduce unwanted or malicious traffic. Our CDN allows you to expand our network to 33 Data Centers – 5 Continents – 24 Countries! This gets your content close to your visitors & helps reduce loading time on our HTTP/2, SSD based 100% uptime CDN network. Designed for lightning speed. We optimize your images and accelerate your websites. Our server side image optimization can cut images sizes nearly in half on average, all without compromising image quality. Want to join WPCloud.ca? Well then let our migration experts move your WordPress sites over to WPCloud, no extra charge, we make it easy to get started, no downtime or interruption to your clients or site visitors. 100% Canadian owned & operated. All of our servers, data centers, and bandwidth are 100% Canadian owned & operated ensuring compliance with Canadian privacy regulations and corporate governance. Your data is stored on our Canadian based network, no more concerns about data localization & data residency. Canada’s Largest Managed WordPress Hosting Provider! 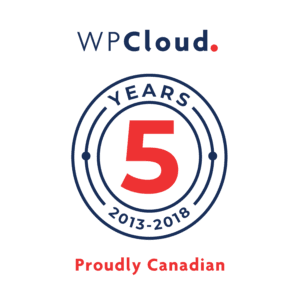 From very humble beginnings five years ago, WPCloud has grown to become the largest Canadian WordPress hosting provider. Thousands of Canadian individuals, businesses, agencies & institutions trust us with their mission-critical sites every day. We have worked hard to build a very robust, redundant infrastructure & support network. Join us today!